The Sinai Peninsula is a part of northeastern Egypt, which also forms a land bridge to Asia. Egypt borders Libya to the west, Sudan to the south and the Gaza Strip and Israel to the east. The majority of its estimated 75 million live near the banks of the Nile River, in an area where the only arable agricultural land is found. The large areas of the Sahara Desert are sparsely inhabited. 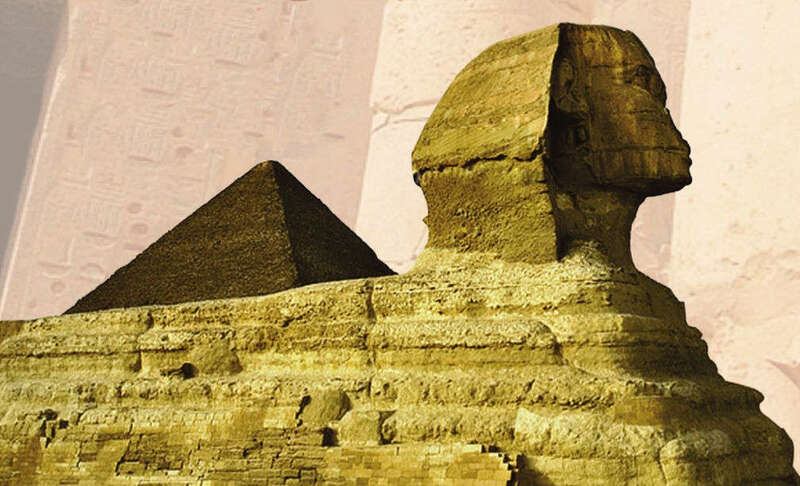 Egypt is famous for its ancient civilization and some of the world's most famous monuments, including the Giza pyramid complex and its Great Sphinx. My country, my country, my country...!, You have my love and my heart . The first two ruling dynasties of a unified Egypt set the stage for the old Kingdom period, c.2700-2200 BC., famous for its many pyramids, most notable the Third Dynasty pyramid of Djoser and the Fourth Dynasty Gaza Pyramids. 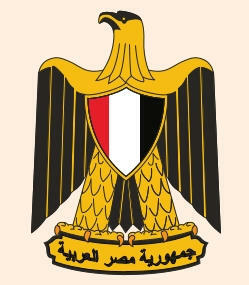 On 18 June 1953, the Egyptian Republic was declared full independence The Egyptian Nile Valley was home to one of the oldest cultures in the world, spanning three thousand years of continuous history. 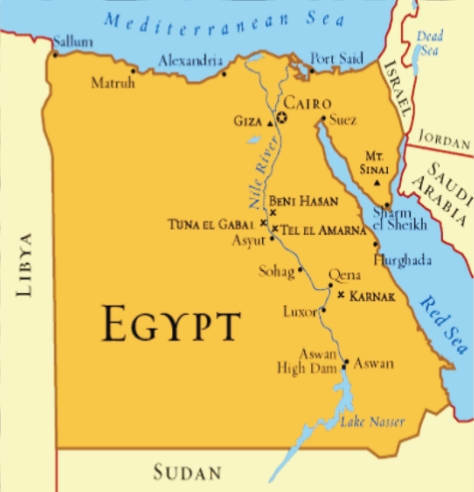 It possesses a land bridge (the Isthmus of Suez) between Africa and Asia, which in turn is traversed by a navigable waterway (the Suez Canal) that connects the Mediterranean Sea with the Indian Ocean via the Red Sea. Apart from the Nile Valley, the majority of Egypt's landscape is a sandy desert. Egypt includes parts of the Sahara Desert and of the Libyan Desert. These deserts were referred to as the “red land” in ancient Egypt. In the Delta and near the Suez Canal. 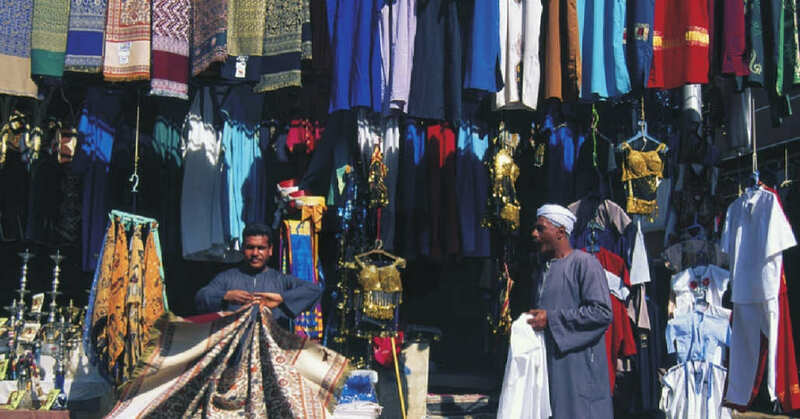 Egyptians are by far the largest ethnic group in Egypt at 98% of the total population. 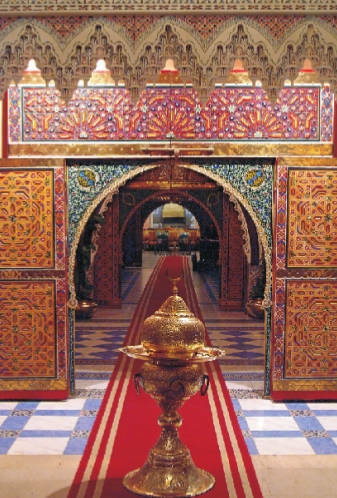 Religion plays a central role in most Egyptians' Cairo is famous for its numerous mosque minarets and church towers. Egypt is predominantly Muslim, at 90% of the population with the majority being adherents of the Sunni. Christians represent 10-20% of the population. 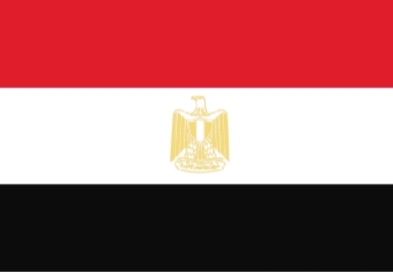 Egypt has several ethnic groups. 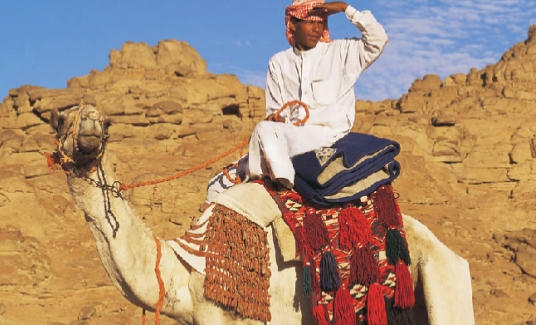 The Bedouin are Arab nomads who traditionally lived in the desert, though most are now settled farmers. They speak Bedouin dialects. The Nubians lived in southern Egypt and farmed along the Nile. 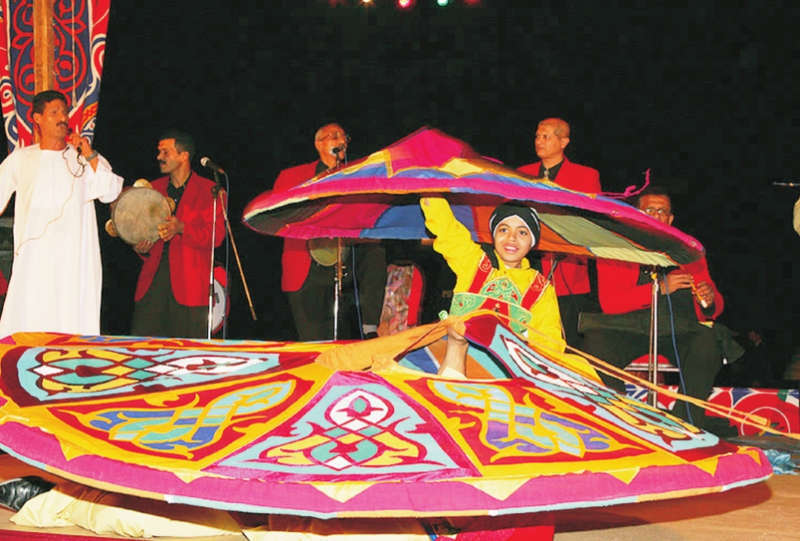 Egypt is famous for its many festivals and religious carnivals, also known as mulid. They are usually associated with a particular Coptic or Sufi saint, but are often celebrated by all Egyptians irrespective of creed or religion. The ancient spring festival of Sham en Nisim has been celebrated by Egyptians for thousands of years, typically between the Egyptian months of Paremoude (April) and Pashons (May), following Easter Sunday. 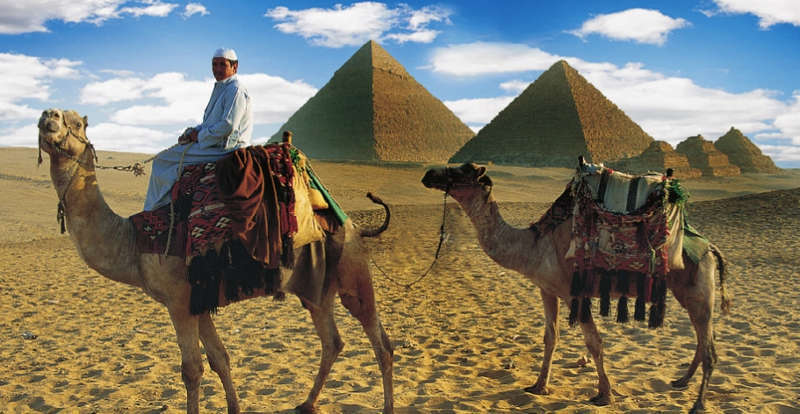 Egypt's economy depends mainly on agriculture, petroleum exports, and tourism. Main revenues however come from tourism as well as traffic that goes through the Suez canal. 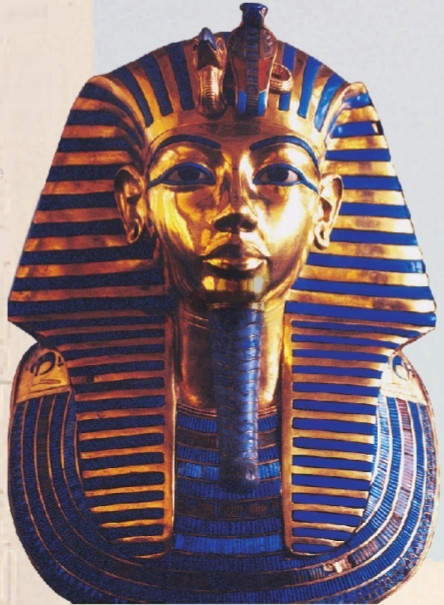 Egyptian culture has five thousand years of recorded history. Ancient Egypt was among the earliest civilizations that influenced later cultures of Europe, the Middle East and other African countries. Egypt's capital city, Cairo, is Africa's largest city and has been renowned for centuries as a center of learning, culture and commerce. Egypt has the highest number of Nobel Laureates in Africa and the Arab World. Egypt does not receive much rainfall except in the winter months. Temperatures average between 80 0F (27 0C) and 90 0F (32 0C) in summer, and up to 109, 0F (43 0C). 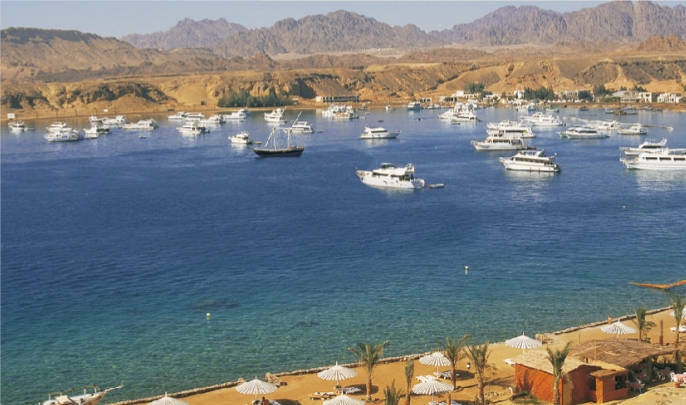 On the Red Sea coast) temperatures average between 55 0F (13 0C) and 70 0F (21 0C) in winter. The Khamaseen is a wind that blows from the south in spring, brings sand and dust. The Egyptians were one of the first major civilizations to codify design elements in art and architecture. The wall paintings done in the service of the Pharaohs followed a rigid code of visual rules and meanings. 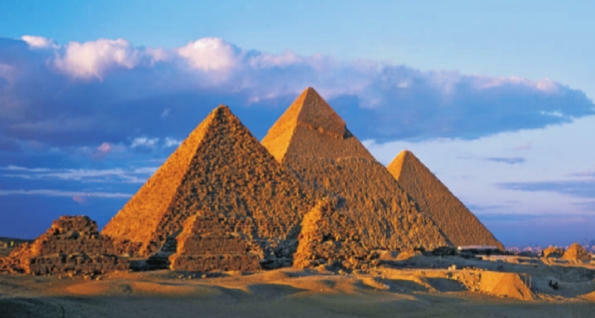 Egyptian civilization is renowned for its colossal pyramids, colonnades and monumental tombs. 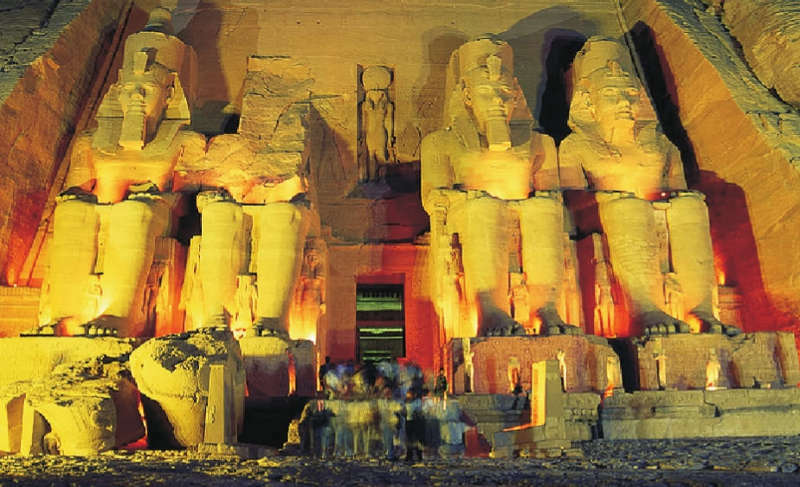 Well-known examples are the Pyramid of Djoser and the Sphinx, and the temple of Abu Simbel. Egyptian music is a rich mixture of indigenous, Mediterranean, African and Western elements. In antiquity, Egyptians were playing harps and flutes, including two indigenous instruments: the ney and the oud. Football (soccer) is the de facto national sport of Egypt. Squash and tennis are other popular sports in Egypt. Cotton is the nation's most valuable crop, and Egypt is one of the world's leading cotton producers. Egyptian farmers grow high quality, long-staple (long-fibered) cotton, which is strong and durable. 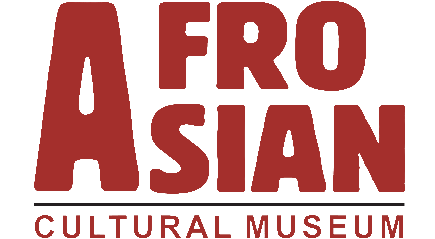 Farmers grow corn, oranges, potatoes, rice, sugar cane, tomatoes, and wheat.